Lagos Business School, a Chartered Accountant with over 20 year professional experience in Telecommunications business, Revenue Assurance, Fraud Management, Risk Management, financial advisory and Audit. Prior to this, he was Head of Revenue Assurance, Fraud and Mobile Financial Services Risk Management at Tigo/Millicom International based in Chad. 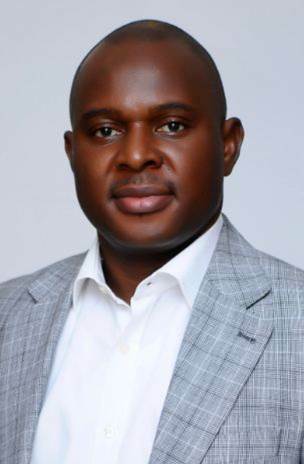 He was also Head of Revenue Assurance & Fraud Management at Etisalat Nigeria and held similar position in Airtel Nigeria. In these roles he managed the critical intersection of Information Technology, Finance and Business with focus on value maximization, risk mitigation and end-to-end assurance across revenue value chain. Olanrewaju is a seasoned analyst and a member of various industry groups such as GSMA, GRAPA and TMF; a passionate trainer and an invited speaker at conferences and workshops particularly on Telecommunications, Mobile Financial Services, E-Commerce, Revenue Assurance, Fraud Management and infrastructure value maximization.